Dauin Mayor Neil Credo has assured members of the Baslay Farmers Association (BFA) of the financial assistance needed for Highland Brew Coffee’s valued-added service facility and native snacks in a joint briefing with members of the Association of Negros Oriental Public Information Officers (ANOPIO) and local media in Barangay Baslay, Dauin. A 120-hectare Baslay coffee farm-plantation known for its homegrown highland brew coffee, the facility serves distinctive flavor brewed coffee and is now being visited by local and foreign tourists. Baslay is 860 meters above sea level where the Highland Brew Coffee shop serves brewed coffee. Mayor Credo said aside from coffee being served within its plantation, he wanted to have additional servings of native snacks or foods to pair with the coffee. With that, the mayor offered of an initial P100,000 capital for the purchase of food storage, utensils, food supplies, among others needed for a coffee shop. The association also requested for a decent and permanent restroom or lavatory for the visitors. The mayor also pledged that the local government will fix the more than 400-meter road leading to the coffee processing site. It is noted that aside from the coffee being served within its farmstead, it will also showcase a ride of ‘Tartanilla or Carosa’ being pulled by a carabao. There are three types of coffee being produced in Baslay, namely Robusta coffee (70 percent), Arabica (30 percent), and the barako coffee or Liberica. The Department of Tourism (DOT) has further developed this farm tourism in Negros Oriental in order to help the countryside. Some 29 coffee growers and members of BFA received earlier their certificate of participation from DOT-7 Regional Director Shahlimar Hofer Tamano after they completed the seven-day seminar on Cultural Community Tour Guiding at Brgy. Baslay. 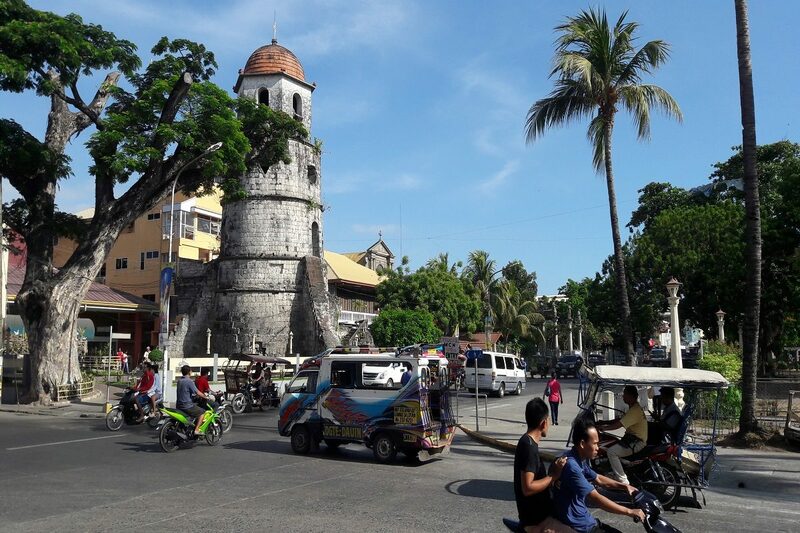 NEGROS ORIENTAL (PIA) – The aroma of freshly brewed Baslay coffee will soon spread to the coffee shops in the capital city of Dumaguete or at resort cafés in the municipality of Dauin. This after the Department of Trade and Industry (DTI) – Negros Oriental hosted a coffee brewing and tasting event in Dumaguete City recently to encourage local resort and café owners to buy and support the locally grown coffee. “The purpose of this is to invite local resorts in Dauin and coffee shops to carry this coffee,” DTI SME Senior Trade and Industry Specialist Maribel Sumanoy said. During the activity, resort and coffee owners were given a free taste of Baslay Coffee which comes in two varieties: Arabica and Robusta. Sumanoy shared that in the 2nd Coffee Conference held in Baguio City, DTI sent samples of Baslay coffee to be evaluated and it had a high cupping grade which is good for specialty coffee. Baslay coffee was cultivated by the Baslay Farmers Association (BFA), a recipient of DTI’s Shared Service Facility (SSF) Project. Last year, the DTI turned over units of dehaulers, depulpers, dehumidifiers, sorting tables to association and also sponsored trainings on coffee harvesting, dry method processing and understanding standards and grading system. Sumanoy said that through these interventions, members will have a competitive edge and will be able to demand a better price when selling their coffee beans to the market. The coffee plantation is nestled near Mt. Talinis with an elevation of 800 meters above sea level up to 1,200 meters above sea level. The development coffee plantation was a reforestation project of the Philippine National Oil Company (now Energy Development Corporation or EDC) to give livelihood assistance to former kaingineros in the area. “Before 1984, we were all forest occupants. We were all forest destroyers of Baslay forests,” said BFA Adviser Ruel Perez. Perez continued that sometime in 1984, they were organized into an informal group and in this process, the Department of Environment and Natural Resources (DENR) and the Philippine National Oil Company started to realize that there is a prevailing problem with the community. “Of course the destruction of the forest because we were practicing these destructive farming practices – we called it the maganas. You have to clear this forested area so you can plant corn and your first and second harvest will be adundant. Along the way, after 3 to 4 years, when there is a decline in harvest, you look for another area to deforest. That’s how we do it. It’s our way of life that is exhausting but there is no success,” Perez explained. It was in 1986 when different government agencies and the New Zealand government gave the community a funding for agro-forestry project. In 1988, the group was registered with the Department of Labor and Employment (DOLE) making it a legitimate organization and in 1989 the BFA was launched with 135 founding members. By 1992, the group was awarded a community forest stewardship agreement for 25 years and they were given the opportunity to manage and protect the forest of Baslay. All those years, BFA was into coffee production and from being kaingineros, they eventually became coffee farmers and forest conservationists. Perez said the group practices organic farming and they do not apply synthetic fertilizers and pesticides in their crops. “Everything there, the animals, the birds they all contribute to the pollination that’s why our coffee has a very nice flavor coffee. Our coffee needs forest to grow and have a very nice flavor,” Perez said. Perez disclosed they hope to cover a 300-hectare expansion in five years. Meanwhile, Sumanoy disclosed that as of now, BFA has one buyer in based in Manila and that is the reason why DTI held the activity to help BFA introduce to the local market in Negros Oriental the Baslay Coffee. “In Negros we don’t have a market yet. So we are introducing it. The trend today like in Bo’s Coffee is to carry in their coffee shops local coffee. They are carrying Mt. Apo, Benguet, and Kalinga Coffee. Now we are introducing themthat since you are in Dumaguete, you carry Baslay coffee,” Sumanoy said. The DTI official added that they requested the farmer’s association to retain at least 20 percent of their produce for the consumption of local market here. Sumanoy said that BFA was able to harvest 3,200 kilograms or 16,000 red cherries and then processed it to 3,200 green coffee beans last year.